There's a sweet little sushi place over by Lake Ella. It's nothing fancy, and nothing life changing, but in its own quiet old-school way it's the best sushi in town. 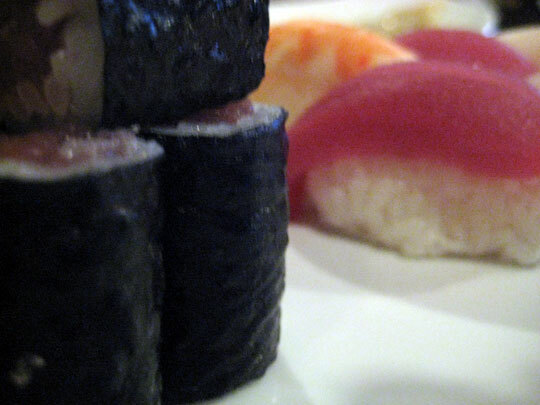 Sakura is nestled in the ground floor of a slightly run-down strip mall off Monroe. It's a dark space and not particularly appealing from the street, but they've done a reasonable job inside making it homey and warm. This applies much more to the dining room than the bar. The bar is kind of depressing. The several times I've been to Sakura, the food has been consistent and tasty. The fish is always fresh - super fresh, actually - which means there is none of that lingering fishy smell that pervades strip mall sushi everywhere. Where Sakura varies is in presentation. I've eaten there and had absolute works of art. I've also eaten there and had artless little slabs of fish. It goes either way. Tasty in both cases, way more fun in the former. They do a pretty solid job on the non-fish, too. 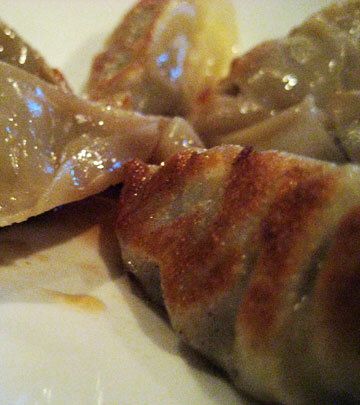 Colleagues swear by the noodles, and I'm a big fan of the beautifully spiced and sinfully greasy pot stickers, which have been just about perfect every time I've been there. Sakura compares favorably to the more upscale Masa, right up the street, in terms of food if not in atmosphere, and is just about as expensive. Less of a see-and-be-seen place, it's nevertheless a lovely little spot, and a definite regular on the Tally circuit.